Guarantee > Are you an exporter? For your commercial export contracts you are often faced with the obligation to pre-finance these contracts and to provide bank guarantees for the client. If you are investing abroad, since the assets to be financed are situated across borders, your bank may experience difficulties financing them. Whatever your international project, SOFINEX allows you to access bank credit more easily through granting a guarantee to reduce the risk for the bank. the SOFINEX guarantee covers a maximum of 75% of the loan approved by the banker. 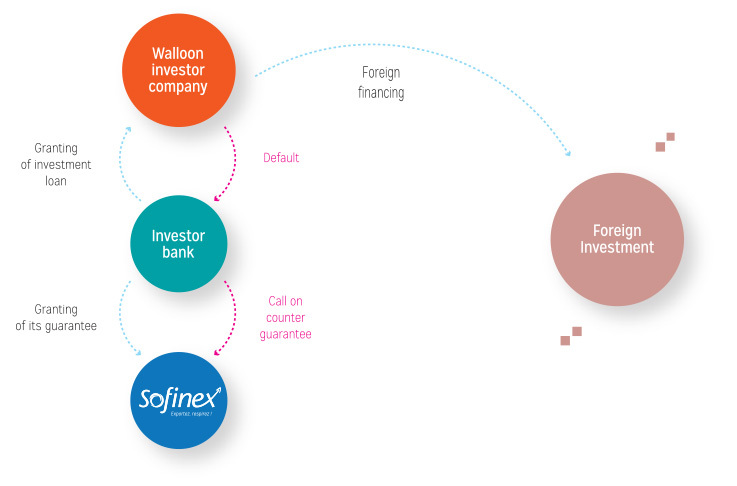 whatever their size, all eligible Walloon companies may benefit from a financial contribution from SOFINEX. 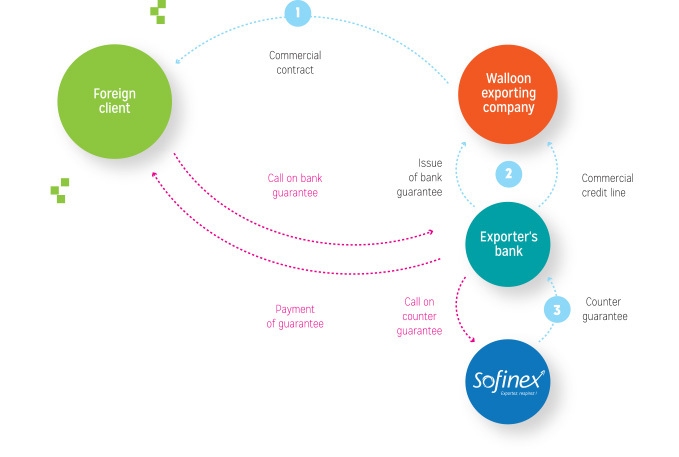 the guarantee is activated after the provision of sureties agreed at the bank by the company within the framework of loans granted and guaranteed by SOFINEX for the project. By contacting your bank direct to present your project. Your bank will analyze your application and take the necessary steps to introduce your file to SOFINEX. However, prior contact may be made with SOFINEX. An opportunity presents itself to company X to take over a construction materials distribution company established in the South of France. This purchase would allow the company to reach new markets in the South of Europe and to extend its product range. The total amount for this acquisition is 500 000 euros. The company dips into its available funds and immediately puts up 20% of the needs in connection with its foreign development. SOFINEX then supports it with a subordinated loan and through the granting of a 50% guarantee on the bank financing.